Sideline has confirmed they'll be in New Richmond in 2018. 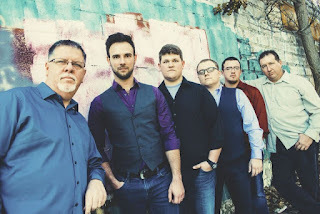 Hailing from Raleigh (North Carolina), Sideline will be on stage at the New Richmond Bluegrass Festival on Saturday and Sunday (September 1 and 2). The dynamic, hard-driving band which was founded by Steve Dilling (banjo), Jason Moore (bass) and Skip Cherryholmes (guitar). Originally, the band's founders just wanted to play together when their own bands weren't, hence the band's name. As the group's music became more and more popular, they decided to make it a full time gig. Other members include Nathan Aldridge (fiddle), Troy Boone (mandolin) and Bailey Coe (guitar). All of the band's members contribute to vocals.